What child support agencies share in common with child welfare and TANF agencies are children. Not simply children in the abstract, but often the very same children from the very same families. Typically, poor families. When child support operates entirely independently of child welfare and TANF, the end result can be poorer outcomes for families. Vital information known to one agency may be missing at another. Families may be given benefits in error and face the prospect of making repayments. Or they may not receive the services they need to be self-sufficient and independent. Every community faces some of the same problems in handling multiple-agency families, along with unique challenges and opportunities as well. Los Angeles County, California faces some problems that are fairly typical of large child support, child welfare, and TANF programs. The steps taken by the Los Angeles County child support, welfare, and TANF agencies have not eliminated all of the complications posed by multiagency families, but they represent important changes in the agencies’ cultures. 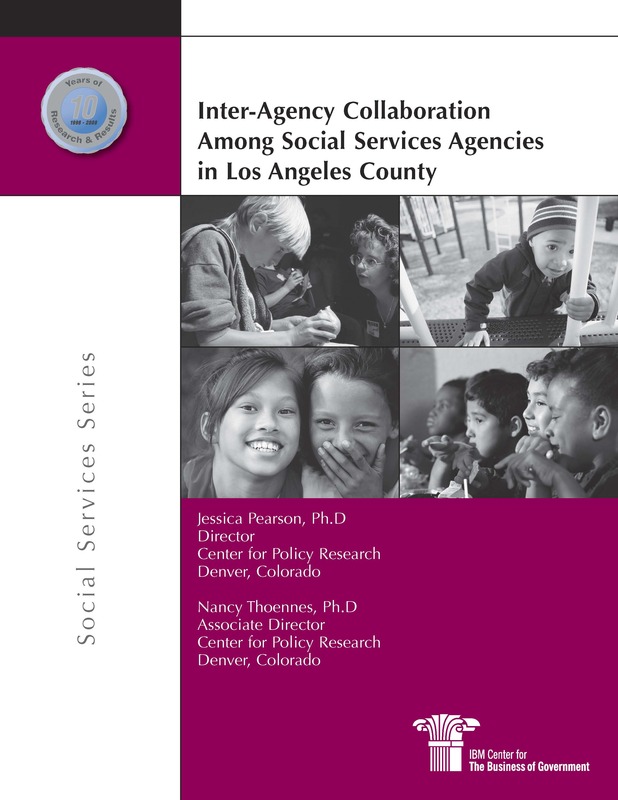 The authors of this report have had an opportunity to work with the Los Angeles Child Support Services Department (CSSD) during the time changes were occurring in the relationship of CSSD to the Department of Children and Family Services (DCFS) and the Department of Public and Social Services (DPSS). In addition to pursuing other collaborative activities, all three agencies participated in initiatives funded by the federal Office of Child Support Enforcement (OC SE) and facilitated by the authors of this report that tried to encourage IV -D (child support) programs to more effectively work with IV -A (TANF) and IV -E (foster care within child welfare) programs.